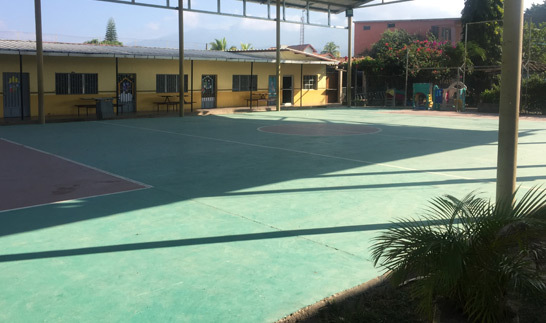 CasAyuda, located in Comayagua, Honduras, is a state of the art educational facility for the physically and mentally disabled, organized by Nelly and Nelson Zelaya and built in the years since Hurricane Mitch devastated the country in 1998. Like Hogar de Niños, its beginnings go back many years and also has its story rooted in God’s providence. When Nelly fell out of a tree at the age of 15 she could not have imagined the new course her life would take. She was permanently handicapped, confined to a wheelchair and could no longer attend school. Nelly personally experienced the plight of the disabled of Honduras and became determined to make a difference for people like herself. After great struggle and adversity, Nelly finished her education and married. Sharing her passion to change the destiny for so many broken people, together she and her husband organized CasAyuda. Nelly had seen God provide for her in the past when all seemed lost; she knew God would provide for the school to be built. Today, CasAyuda’s Christian staff educates 100 mentally and physically handicapped children and young adults. The large campus provides dormitories, educational buildings and a cafeteria. God has turned Nelly’s disability into a calling to serve the disabled in Honduras.